Here in British Columbia there are many free camping places which are maintained by the BC Forest Service. All are checked weekly for garbage, damage etc. I don't think any have flush toilets, but the outhouses are clean and well-stocked with TP. There are taps for running water but you are wise to drink bottled water. They are completely free and you can stay for up to 14 nights. Scattered throughout the province. We just stayed at the N'Kwla site on the Nicola River between Merritt and Princeton--gorgeous!! Sounds Great! Can you fill us in on some of the individual sites? I've not had the opportunity to stay at the sites on this website, but from others I camp with who have more time to get out and about and enjoy these campgrounds they speak very highly of them. Check out this website, it's fairly inclusive of information. It also notes that there are different categories of camp sites so you will want to make sure you read that to understand what you are heading to. If I find any more info I will post it here but this is a pretty good start and perhaps others who have camped at some of these locations can add their recommendations. I hope this helps. Not sure what happened with the original posters but I suspect they are busy out there somewhere camping and having fun. I cut my camping teeth in B.C. 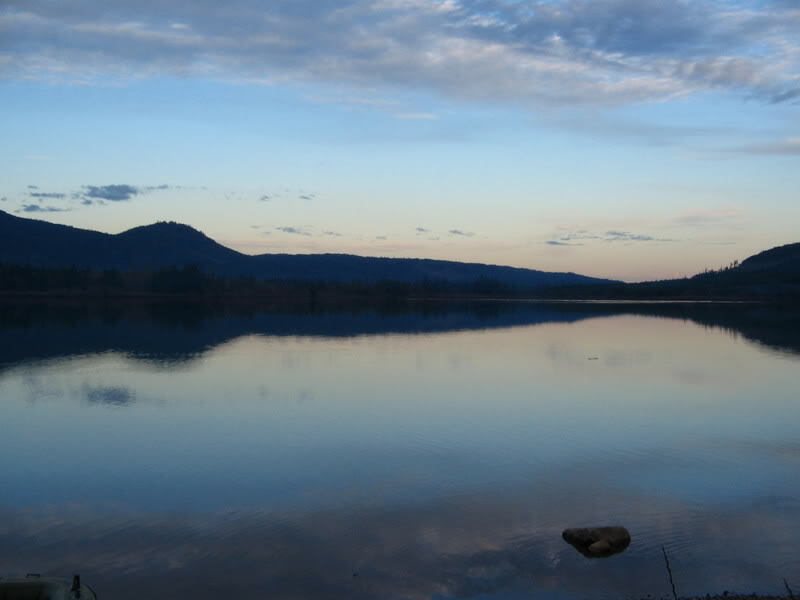 provincial campsites and can attest that they are without equal when it comes to beautiful locations. They all have beautiful 4" thick highly varnished picnic tables on concrete bases and the sites are always generously spaced. Some of my favs. are on Vancouver Island at Goldstream River and Qualicum Falls. Some day I'll re-camp them- now that the old family canvas is now a AS. Page and I stayed at several on our AK trip last year. Without exception, they were placed in the most beautiful spots possible. Picture yourselves backed up to a pristine lake with very few other campers. Pit toilets, but what the heck. Even they were clean. However, we paid about 14can each night for dry sites. boondocking sites. With new data is is being updated monthly. We are an hour away from a campsite like the ones you mention. We get home from work at 4 pm on Friday, leave immediatly and we are there by 5, and then set up with supper on the table by 5:30. I wish we were closer - what great weekends you must share. Muncho Lake, Kinaskin Lake and Boya Lake. Of all our travels, these stand up with any other places we've been. We had our kayaks with us so were able to get out and enjoy the scenery - both above and below the surface, the water was so clear. I don't know those!!! Are they in the interior??? I am most familiar with the ones on the island. That is actually why we just bought the trailer (we had a vintage motorhome we sold for it), so we could take some longer trips.......we just found it awkward with the MH, unless we were traveling with friends, because anytime you want to do something away from camp you have to pack your whole area up into it!!! Whereas with the trailer, we can park it and do some in town sightseeing and such. We want to see more of the interior, and head down to Oregon and Washington State. From the campsite looking out, Henry, our dog, was SOOO mad that Kyle went out in that little dinghy without him!!! He sat on the shore and whimpered until he cam back! I have traveled to Vancouver Island for the past several years by car and of course the ferry.Is there any problem transporting the AS on the Ferry? I have seen large semi-trucks on board so I would assume that a trailer would have no problem. Are there any campgrounds onthe Island with electric, water or sewer hook ups? You would have absolutly no problem with the trailer on the ferry. Here is the BC Ferries website: canadavacation.name it will have all the fares and such on it, including the fares for overlength (which you will be with a trailer!!). There are tons of campgrounds here with full hookups and the like. If you google bc tourism, bc campsites, etc. I am sure that you will find a website with them!! Also, I forgot the add about the ferries: I LOVE the reservation system!!!! You pay an extra $15 online to "reserve" a spot. Then you are guarunteed a spot on the sailing you want. I just say this because on some weekends the ferries get REALLY backed up, and you end up with four sailing waits and stuff.....so you are sitting in the terminal for 8 hours out of your day......and who wants to do that while they are on vacation!!!! My dad said one time that you can't put a price on your time, and I think the extra $15.00 is worth not have to wait eight extra hours!!! Vancouver Island is a beautiful place to camp. 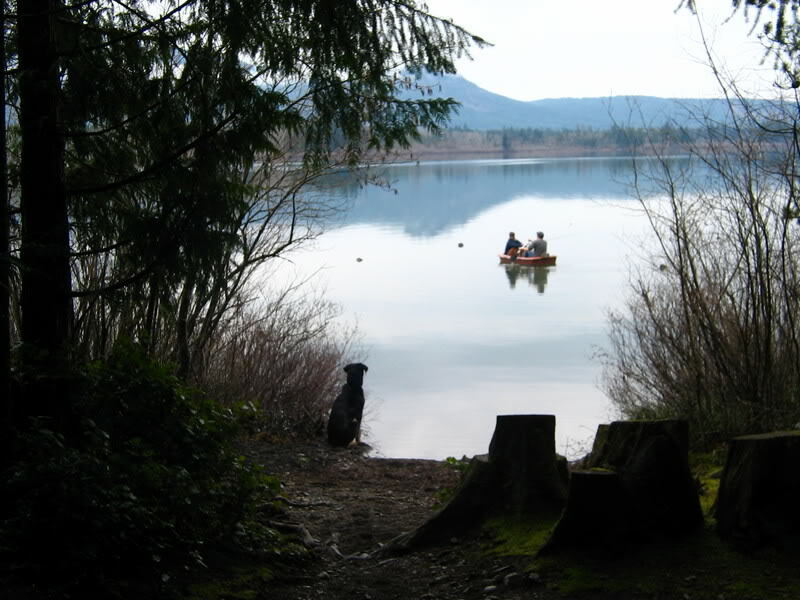 Many wonderful government and private campgrounds, on lakes and along the ocean. A large number of them have full facilities and this may be surprising to some but Vancouver Island is kind of Canada's secret Florida/Arizona in winter. Many Canadians cannot spend their winters in the USA due to health reasons and they instead haul their trailers to the west coast of Canada. Some stay on the mainland around Vancouver but the vast majority of them winter on the island in and Victoria up to Nanaimo and Parksville areas. Although the weather is no where near as warm and dry as it is in the southern States, it is a heck of a lot warmer than the rest of Canada by a long shot. If you are coming up from the US there are ferries from Anacortes, WA that head to Victoria and enroute take you through the San Juan Islands. A gorgeous trip. There may also be a ferry from Seattle but I'm not sure about that. Yep, Vancouver Island is one of Canada's jewels. Well worth the trip.